Do you know the watershed in which you live? Here in New Mexico, Albuquerque is located in the Middle Rio Grande Watershed. This River was named for its grandeur and size. Today the Rio Grande continues to support agriculture, recreation, culture and the health of human and all biotic life, though she is shrinking. The Rio Grande is one of the most endangered rivers in not only North America, but globally. Human exploitation—development, toxic industrial waste, agriculture —threaten her on every front. This ribbon of water in a drought ridden state is critical for our food supply, health, and security. If we continue to destroy this source of water—through the insanity of proposed fracking and the current poisonous, radioactive plumes from Los Alamos Nuclear Lab —we will compromise all life along the once mighty Rio Grande. Her lovely flanks of habitat for pollinators, humans and all creaturely and plant life will no longer support life. And then there is drought…the effects are seen in the burned out landscape the Rio Grande’s soothing waters cannot reach. But still she meanders along the side of the road, lovely and blue/green, on the particular day that I was heading home from Taos, New Mexico. Think Like A Bee has been awarded a seed grant to begin a process of creating a documentary about the Rio Grande Watershed. The goal is to interview and collect stories of food growers and water protectors along the Rio Grande. We will be working with the Taos UNM Media Arts Lab to document stories of Land Based communities and elders whose people have been shaped by this great river and her watershed. For centuries, many peoples have preserved this watershed for us today. New Mexico is rich in a unique and traditional food cultura. All you need to do is drive north along the Rio Grande, and you will see all the ways we depend on the river for food. From North to South, simple and sustainable growing practices have survived for many generations throughout New Mexico—from Chile peppers, the Three Sisters of squash/corn/beans to local apples and honey. Even as climate change and drought are impacting natural systems such as migrations of wildlife and pollinator habitat, we must grow food to live. Think Like A Bee hopes to put a spotlight on our precious river, calling us all to be watershed defenders. Sometimes I remember that I am not in charge at the most basic level. These wild creatures teach me to stop obsessing, to learn to live in sync with what is, and most importantly, to fail. To allow death. I am learning to let my heart lead me with my beekeeping. To live with what is. To think like a bee is about surrender and responsibility. Bees work their little wings off to feed and care for the hive. They are fierce survivalists. 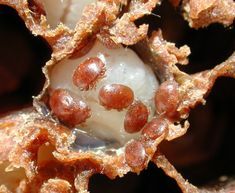 But when bad weather comes, wasps invade or parasitic mite disease destroys their babies, they must abide by the laws of nature. They will either rebuild or perish. I learned this hard lesson again this past week as I opened a hive that had weakened from wax moths, mites and disease. To add insult to injury, as I opened it up a mob of robber bees descended like a shark feeding frenzy, to raid any stores of honey. They were out for blood. By the end of the day I was totally beaten down and grieving. I gathered up the remnant of my little hive and took them to a beeyard far from the robbing hordes—hoping against hope that they would survive the attack. It is a fine line. I must monitor my bees for invasions, insects and diseases. 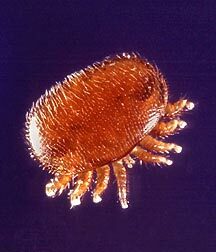 I must test and treat them for mites (which I’ve been doing weekly now for the past month). I must try to protect their hives, give them clean water and shade, as much as possible a chemical free environment. I must leave them enough honey for the winter. I must re-queen them when needed. Then, I must let bees be bees, to live their lives. Stop meddling in their affairs and hive. Give them space to develop their own resistance and work out their troubles. 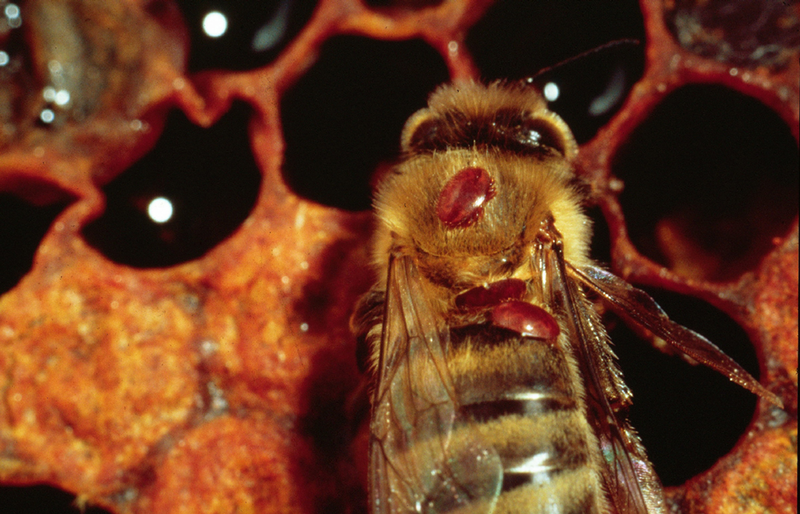 Domestic honeybees are a still a force of nature onto themselves— imbued with qualities that the Creator, evolution and human genetic meddling have bestowed upon them. A universe of mysteries. In the end I will fail my bees. I will lose whole hives. My bees will get robbed out. It is a hard lesson for life. I regularly fail as a spouse, daughter (in law), sister, aunt, chaplain, creator, musician. All you parents out there already know this. Your children are your best teachers for failure. You surrender them to life. Release them when it’s time. “These children are not our children, they are the sons and the daughters of life’s longing for itself” (The Prophet, Kahlil Gibran, Lebanese poet). But that does not mean you shirk your duty and responsibility to do your very best according to their God-given essence. And then you fail, right? I’ve been trying to think of failure as a good teacher. I work at manipulating and controlling my life. But the past month has been an experiment in crashing and burning at all levels of my life. I’m beginning little by little, to unclench my fingers and release, after I’ve done what I can. I’m reading the book Epitaph for a Peach: Four Seasons on my Family Farm, by David Mas Masumoto (HarperCollinsSanFrancisco, 1995). A third generation Japanese American California peach and grape farmer, he struggles to turn his land into an organic farm to save the Suncrest peach trees that generations of his family have preserved. I’ve lost raisin crops, peach harvests, whole trees and vines. I’ve lost money, time and my labor. I’ve lost my temper, my patience, and at times, hope….Even in situations where I believe I am in charge…I now know I can never really have complete control. Ironically, the moment I step off my farm I enter a world where it seems that everything, life and nature, is regulated and managed. Homes are built to insulate families from the outside weather. People work in climate-controlled environments designed to reduce the impact of the weather. The government develops bureaucracies and statutes to safeguard against failure and protect us from risk. In America, a lack of control implies failure. As Fall arrives, the bees teach me risk. Failure. Blessed bee. 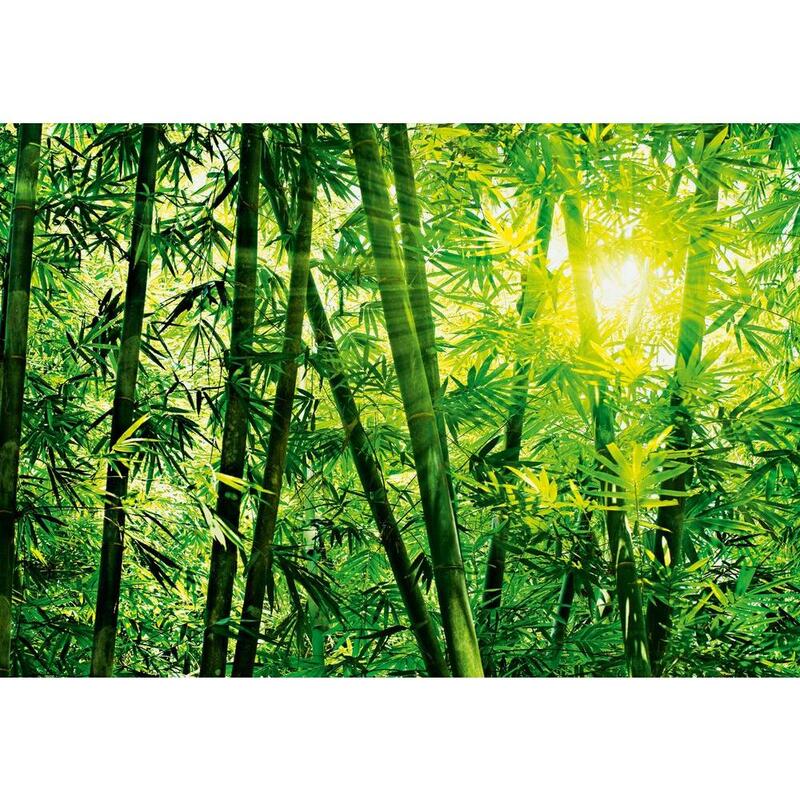 I’m working on becoming like bamboo. So. First the bad news. We did not receive the #HiveMind grant for creating pollinator wildflower corridors. Thank you all for your support and cheering us on. Truly, you made a difference! The good news is that Think Like a Bee and other bee community members met with key players from the City of Albuquerque last Friday. 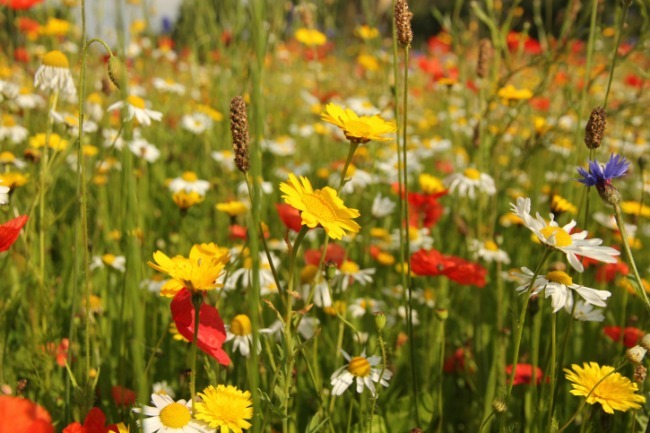 We talked about creating pollinator wildflower corridors nevertheless. Come to find out, Albuquerque’s Clean City’s Wildflower Initiative is already happening in median strips and roadsides! This is a very exciting project for our neighborhoods to become involved in! I’ve been thinking alot about what it means to invest in community these days. I never had my own children. Yet, perhaps I have many children. Human and non-human. This is the way I am investing in the future. Many of you invest in community in myriad ways. Tell me how you are making a difference for future generations! I’m sticking with the “collective intelligence” part of that definition. Hive mind is like bee crowdsourcing—pulling together all the little brains and best physical energy in the hive to come up with a solution for the good of the whole. Hive Mind is about collaboration. Think Like A Bee has already contacted and set up a meeting with key players. We are assembling a Hive Mind of beekeepers, wildlife non-profits, and city departments to create this vision. It’s that collective intelligence and collaboration in motion. Now all we need is funding. Good news! The grant Think Like A Bee wrote made it to the top 12 finalists! The Australian grantor is giving away $40,000 to the right applicants who receive the most votes on-line. “Hive Mind” project needs your vote! Voting closes 5pm Australian time, August 14, 2018. Vote Here. Hive Mind takes the amazing capability of honeybees as superorganisms, and mimics their social networking and communication capability to create a web of pollinator habitat corridors throughout this city of a million. Hive Mind will utilize municipal support, who passed the Bee City USA resolution, as well as create a coalition of non-profit organisations such as the Xeric Garden Club, New Mexico Beekeeper Association, and Albuquerque Beeks as well as the Albuquerque Public School who are dedicated to creating wildlife and pollinator habitat corridors. This coalition will then move into the neighbourhoods and community base to educate and advocate for native pollinator habitat and protection, contracting with neighbourhood associations throughout the region to build habitat corridors in their medians, roadsides, public parks and private backyards. It will be a model for preservation and conservation of species, including an intergenerational approach with the inclusion of youth. Vote Now. It’s summer time and the sweet elixir of nectar is flowing…Honey has now been processed and is available for purchase. My girls have been generous. The honey comes from organic farms and my backyard. It is truly phenomenal in it’s taste and texture and color. I am selling this as a fundraiser for Think Like A Bee. A portion of the proceeds will go to support this newly and officially recognized IRS 501C3 and our ongoing advocacy/education in the community. If you would like to reserve your jar(s), please message me on facebook, text my phone number or email me at anita@thinklikeabee.org and we’ll make arrangements for pick up. Any unsold honey will be taken to market. I honor the hard work of my honeybees and give thanks for this generous gift from the earth(though, not without resistance at times and even their demise). Bee Friends, I have been on a very, VERY long trip this past month. Logging over 1,450 miles, I have been driving the highways and byways of the Eastern United States. 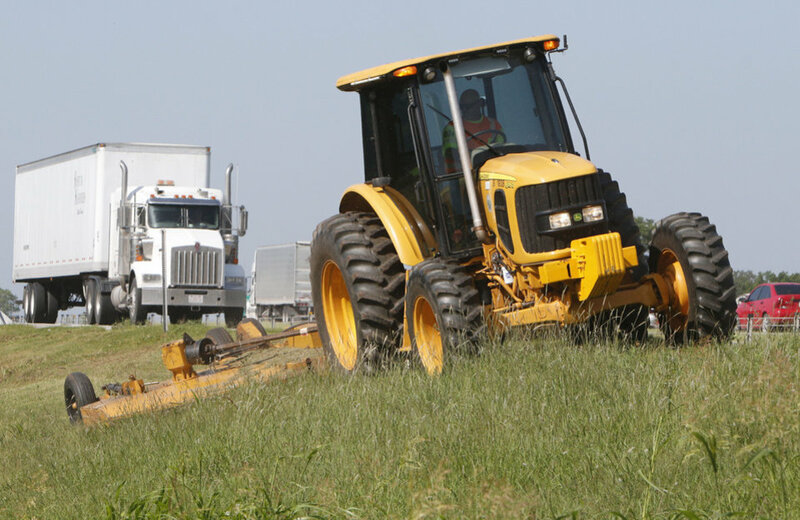 I was disturbed by the spraying and mowing of the vast swaths of medians and shoulders along our interstates. I passed endless monocrops of corn and soybeans. A new federal study finds that honeybees in the Northern Great Plains are having a hard time finding food as conservation land is converted to soybean and corn row crops. These crops have no food value for bees. This area—called “America’s last honeybee refuge”—lost about 629 square miles of prime bee habitat, according to the National Academy of Sciences….From 2006-2016, more than half the conservation land within a mile of bee colonies was converted into agriculture. “Why can’t we do this?” I said out loud in an irritated voice as I read the article. Meaning, if bees are so crucial for our food system, why do we keep decimating, developing and destroying their livelihood and thus, our own food chain? I imagined, as I drove along, what would be possible if the medians were filled with GMO and herbicide free wildflowers. How many pollinators could we feed if we created continuous ribbons of habitat for pollinators along our interstates? Then I came to Northern, Virginia, along Interstate-81. I perked up. Someone with foresight was managing these medians and roadsides, I thought to myself. Fecund and rife with species native to the Shenandoah valley, I saw butterflies zig-zagging their drunken dance as we zoomed by at 75 miles an hour. The dazzling colors were mostly lost on the speeding commuters and semi drivers. 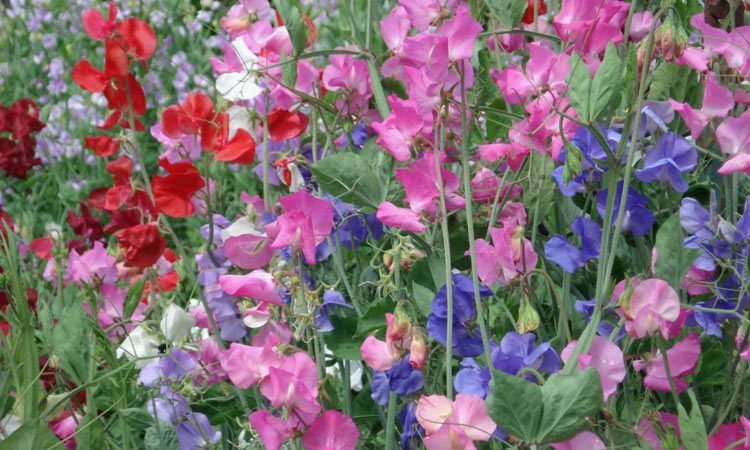 Summer thickets of delicately scented sweet peas. Showy milkweed galore. Tall yellow columns of mullein. Queen Anne’s lace. Twinkling periwinkles. Yellow and purple asters. Just when I thought I had “spied” and listed them all, new species would pop up. My little “I spy” game kept my mind alert and engaged as I drove along. The variety and color was stunning. Banks of bouquets. Rivers of wildflowers. A feast for the eyes, and packed with nectar and pollen for hungry insects. I wondered if the pollinators, especially Monarch butterflies, had discovered these highways and byways on their migrations? Orange daylillies, white daisies, foxglove, White Primrose, Purple Thistle, wild berry brambles…oh, and did I mention the miles of Black-eyed Susans?! Today, a new buzzword for pollinator conservation is habitat corridors. Think Like A Bee will be working with local beekeeper groups and the City of Albuquerque on this initiative when I return to my fair city. Meanwhile, I was busy calling as I drove along. I found out in Northwestern Ohio that Ohio DOT has a vision to create pilot programs—experimental sections of wildflower corridors. I congratulated the Environmental Director. 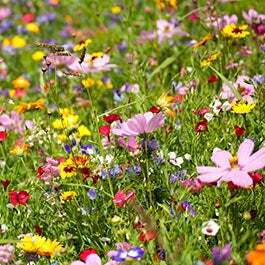 Seeding areas with local native varieties of wildflowers, land is allowed to lie fallow—unmowed and unsprayed. Who is your state, local or regional Department of Transportation Director? Call and find out. Get to know them. Let them know how crucial our pollinators are and ask them to create pollinator habitat corridors in your state, town or region. Huzzah for June 16-24, Pollinator Week! This was designated once upon a time by the U.S. Department of Interior. It was a day when top officials understood the critical importance of bees for our food and survival. See the Pollinator Partnership, largest nonprofit in the world dedicated to promoting the health of pollinators—critical to food and ecosystems— through conservation, education, and research. Our Burque Pollinator Festival on June 16 was a success despite the rainy day! Thanks to Seth Hoffman, music maker extraordinaire, who crowned the day with his original tunes! I celebrate the newly minted 501C3 status of Think Like A Bee! Please raise a cup, tip your hat and/or practically contribute some Honey Money to honor the work of bees. This officially kicks off the June Fundraising campaign for us! We honored Albuquerque’s status as the first Bee City USA in the southwest with a city wide party! Think Like A Bee collaborated with Cornelio Candelaria Organic Farm to host a summer youth farm internship from May-August 2017. Community Benefits are future generations of youth learning about New Mexico’s long and dignified history of traditional and small scale farming, pollinator importance in food system health and food security. Students participated in local food markets and were introduced to Community Supported Agriculture (CSA). As the students worked for Cornelio Candelaria Organic Farm CSA and Think Like A Bee, they learned healthy soil composition, beekeeping 101, composting, seed saving and management, food as medicine, hoop house growing and irrigation, harvesting and marketing. Youth learned life skills including the ethics of hard work, team cooperation, discipline, persistence, courage and independent learning. The youth attended The Council of All Beings, where they made masks of animals and spoke through the voices of these silent ones to tell us humans something we need to hear for this time. The voices of wolf, sunflower, bear, cat, deer and so many others were profound and from the heart. Youth acquiring very practical skills of beekeeping and pollinator’s keystone importance in our food system as well as habitat for bees. They were able to learn how to sustain a healthy food system, from farm to table and all the steps needed, including pollination, healthy habitat and animal husbandry. The program was duplicated with friends and family of the youth who were invited to a final awards/graduation ceremony. Youth from the program shared their experience, gaining self esteem and merit. Goals for our programs were met as Think Like A Bee was able to help provide ten youth a summer stipend. Ten more youth without nature deficit. Ten youth who didn’t sit in front of their screens all summer. Ten youth who had an amazing hands on experience and made new friends across cultural boundaries and language. We want to embed best pollinator practices in our city’s communities and build Neighborhood coalitions for bee habitat. We will continue to educate in schools, with youth and children and civic organizations to increase pollinator protection and food security. We are happy to be the recipient of a grant to create a Rio Grande Watershed documentary with youth interviewing land based elders. We are exploring a very exciting collaborative opportunity with the UNM Taos Digital Media Arts (DMA) to record the stories of New Mexico’s treasured farming and landbased communities for future posterity. OR Click on our website, Think Like a Bee, to donate by credit card. Thank you for your incredible support. Hive mind at work! Think Like a Bee is a 501C3, tax exempt organization. …that sometimes two parallel worlds that we live in converge, collide, intersect or dove- tail nicely. That happened to me with the coming together of my work in the beeyard and the writing of my newly released book entitled, “Soul Tending: Journey into the Heart of Sabbath”. I keep bees on the fly, blog by night, write whenever I have the chance, work as a chaplain during the week. Rarely have the twain come together. Until Soul Tending. I was given an amazing opportunity to live and write at Collegeville Institute for almost 4 months in 2016. I originally went there to write my “bee book”. I ended up completing an old manuscript on Sabbath Keeping. It just so happens that the campus of St. Johns College and the Benedictine Monastery next door were rife with bee symbols and real hives. I deepened into the myths and stories associated with bees. Resurrection. Healing. Community as the Hive Mind. I felt the bees with me, though I was far, far away from my beeyards. They wove their wisdom and the secret life of the hive into my manuscript. Even as they lay dormant, bees were my muse and teachers as I explored ‘Sabbath Mind’ in the frigid, white north of Minnesota. Bees are single minded. Though they are complex super organisms, they work in one accord. Though they vibrate individually at an alarming speed, when they work together in the hive, they are focused, slow, methodical, with a constant, quiet hum. Their common task is almost imperceptible until suddenly hangs a shining, luminous, white comb. Thank you Collegeville, for allowing me to bring my worlds together! Congregations are not so different from bee hives, as pastor and beekeeper Anita Amstutz found out. Busy and diverse, churches are filled with the joys of community as well as challenges. Author and desert dweller Amstutz describes Soul Tending as a spiritual biography. In her words, the book is “a story of my own wrestling with balance in my work life. How I found the Sabbath welcome of ‘ceasing work’ to be both solace and hospitality in that dry, droughty space between creativity and soul weariness, the sickness of work addiction and recovery.” Useful for personal reflection or group study, it explores Sabbath keeping as a guide for joy and deeper meaning in our daily work.